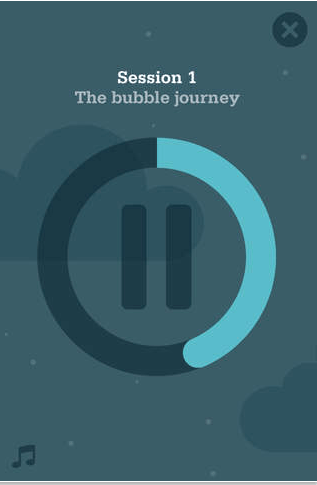 Smiling Mind is an mindfulness and meditation app that was designed by psychologists, and has received accolades and high fives from top learning institutions. What’s great is that there are different meditations for four age sets – 7 to 11 years, 12 to 15 years, 16 to 22 years, and adults. It’s available on iOS and Android. “Smiling Mind is modern meditation for young people. It’s a simple tool that gives a sense of calm, clarity and contentment. 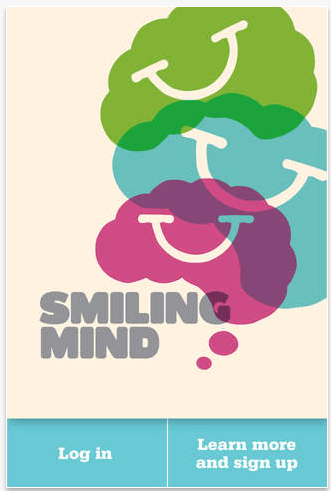 Smiling Mind is a unique web and App-based program developed by a team of psychologists with expertise in youth and adolescent therapy, Mindfulness Meditation and web-based wellness programs. Smiling Mind is a free tool that will assist in improving the lives of young people, and is available online or as a smartphone App. Registering is fairly simple, and you can do so through Facebook. You need to answer some questions about their current emotional state (eg connected or disconnected, stormy or calm, and negative or positive), and then you and are led through a meditation to achieve calmness and mindfulness. 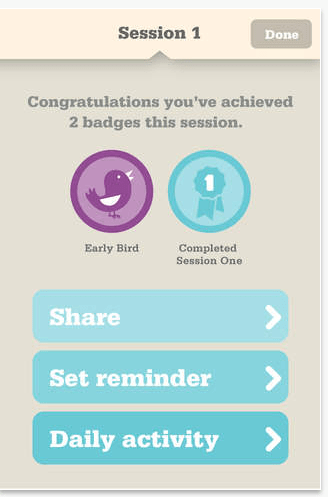 You can choose to listen to meditations with our without music, and you get badges for completing meditations, plus there are options to share these on Facebook or Twitter. 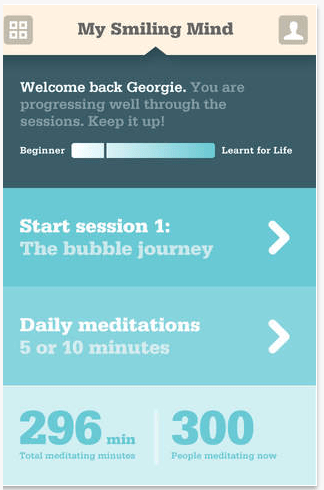 You can also set daily reminders for your meditations. At the end of each mediation, you are told “Well done, you’ve just put a smile on your mind”, which I really love – I don’t think we pay enough attention to making our minds happy. 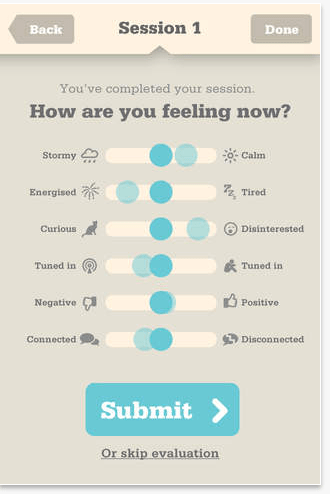 I like that it’s an easy-to-use app, with an interface and feel that are as calm and engaging as the meditations themselves. I also like that it focuses on things such as mindfulness and relaxation, which aren’t always encouraged or practised enough in my opinion. That said, I think a 7- to 11-year-old who uses this app needs to quite serious and be able to concentrate. I can imagine some kids – and adults – might laugh out loud at some of the lines and sentiments in the meditations. But it’s free, and anything that can help us and our kids achieve awareness is a great thing.